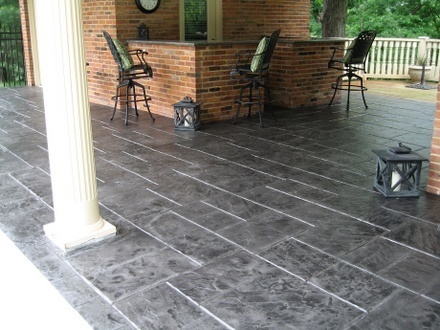 A patio is a perfect spot to enjoy the comforts of the indoors in an outdoor setting. It’s like having the best of both worlds. 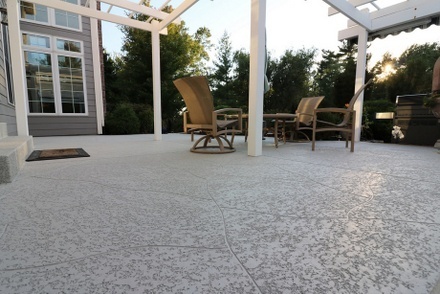 In the US, concrete is the number one material used for patios. Why not? It is versatile enough to be formed and designed in many different ways to suit unique lifestyles and most budgets. 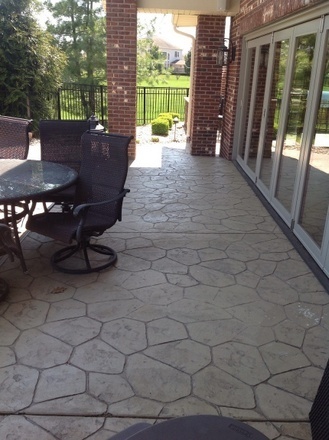 However, time and usage can take a toll on the patio, causing the surface to crack, weaken, and discolor. 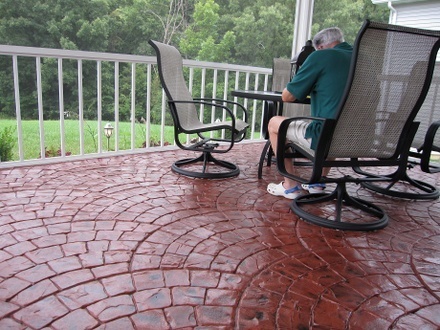 Good thing these can be reversed with repair, resurfacing, and refinishing methods. 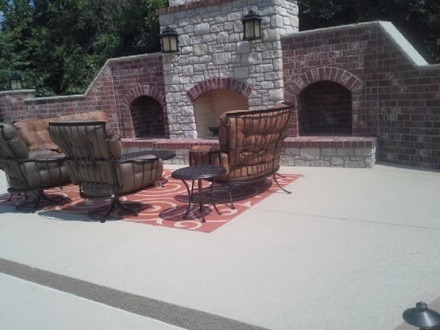 A concrete patio, although more affordable than other types, can be made to look expensive and luxurious with decorative coatings and overlays. 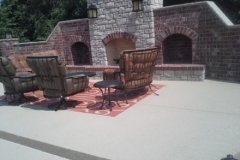 Property owners would surely have fun picking out patterns and colors that are most suitable for their outdoor living space. 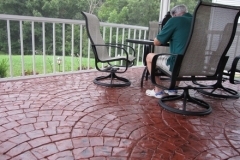 It can be colored to match or complement the exterior of the house or other outdoor elements like fences, pool decks, and more. 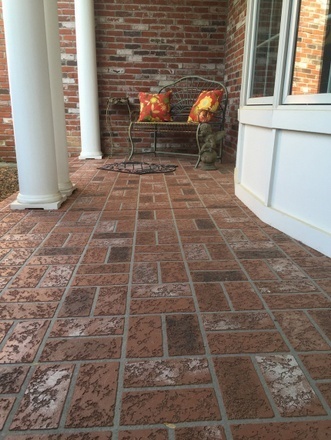 There is an almost endless list of design options when it comes to texture and patterns. 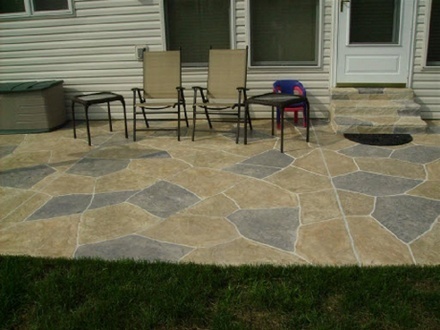 Concrete patios are durable and long-lasting, as long as properly installed and sealed. 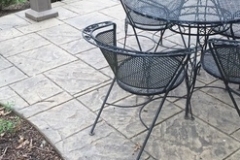 Cleaning and maintenance are both simple and easy. 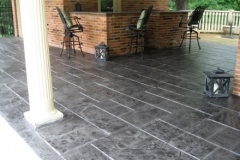 Concrete patio cost is more economical than other paving options. 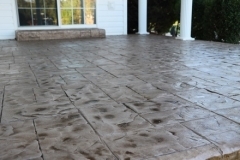 Stamped Concrete Patio – The patterns and colors involved in stamping concrete patio overlays are perfect for making the outdoors a lot more decorative than it usually is. 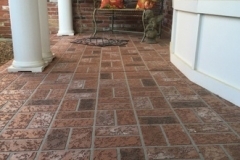 The grooves in the chosen pattern create a non-skid surface, making it safe from slips and falls. 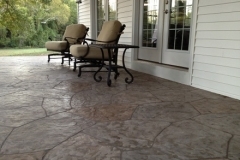 Stained Concrete – Acid stains create random effects that make patios look like real stone. It can also be made to look like leather. 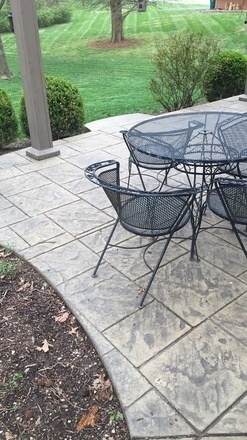 Coloring patio surfaces with stains immediately enhances its look and covers up any stain or discoloration. 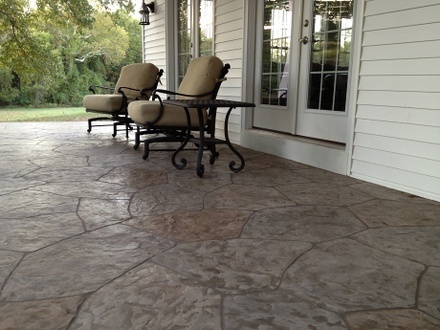 Acid stains only come in earth tones but water-based types offer a broad palette of colors that you can mix and match. Spray Down Concrete System – If you want a decorative patio with subtle appeal, a spray knockdown finish can give you that and more. Aside from the appeal of this spray texture coating, it provides impressive slip-resistance and heat reflectivity. 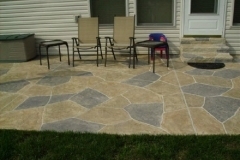 Let us transform your concrete patio from blah to beautiful. Call (972)808-5281 for more info. At Dallas Decorative Concrete, we believe that concrete patios should reflect the lifestyle of the owners. This is one reason why we make sure that we get to know our customers, their wants and needs, and what would benefit them the most. Our mindset is not about gaining profit but exceeding customer expectations. After all, we are merely instruments to improve the quality of our customers’ lives. 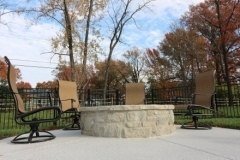 Let’s schedule you for a free consultation and quote. Call or email us today!